Stainless steel. Steel, pressure fit. Face Color Silver Color. Case Material Case back Warranty counts as certificate of authenticity which certifies the item materials' quality and veracity (gold, silver, steel, diamonds) along with the product's authenticity. Watchband: Stainless steel bracelet. Crown: Steel, pressure fit. Case: Steel, 20 mm. Case back: Steel, pressure fit. Buckle: Steel, jewelry buckle. Dial: Black. Warranty: 2 years. Warranty counts as certificate of authenticity which certifies the item materials' quality and veracity (gold, silver, steel, diamonds) along with the product's authenticity. SKU: tw1291. INFINITY collection brings multi-wearing concept also in watches world. Collection: INFINITY. Gender: Female. We have reached our goal buyng directly from the firms without any go-betweens. Face Color Watchband: Leather, Black. Case Material Case back Case: Steel, 30 mm. Case back: Steel, pressure fit. Dial: Black. Warranty counts as certificate of authenticity which certifies the item materials' quality and veracity (gold, silver, steel, diamonds) along with the product's authenticity. BREIL PETIT TW1653 WATCH. Manufacturer Part No: TW1653. Collection: Petit. Clock Shape: Round. New page 1. Replacing & Withdrawal. Glass: Mineral. Water resistance: 100m- 10ATM- 10bar. OROLOGIO DONNA BREIL KATE. NEW, BOX AND INT'L WARRANTY 2 YEARS. 100% Soddisfatti o rimborsati . Style Number: TW0798. Band/Strap: BREIL. BREIL WATCH. BREIL CASE. BREIL INSTRUCTION BOOKLET. Dial Color Red Polyurethane/Leather Band. Band Width: 16 mm. Watchband: Stainless steel bracelet. Strap material Strap Color Crown: Steel, pressure fit. Stainless steel. Power Source Steel, screwed. Face Color. Manufacturer Part No: EW0355. Collection: Trap. Clock Shape: Round. Clock Style: With Charms. The goods travel at the risk of the recipient. Replacing & Withdrawal. Calvin Klein. Water resistance: 30m- 3ATM- 3bar. Producer code: TW1492. Product Warranty: Warranty International Breil. Collection: Night Out Extension. Watch Shape: Round. Style: trendy. The goods travel at the risk of the recipient. The Case Size: 32mm. SKU: TW1349. Collection: INFINITY. Gender: Female. Case: Stainless steel, IP Gold. Here you can find the best fashion jewelry of the best Italian. Warranty: 2 year warranty. We have reached our goal buyng directly from the firms without any go-betweens. SKU: EW0410. Collection: Tribe. Gender: Female. Color Dial: White. Case: Stainless steel. We have reached our goal buyng directly from the firms without any go-betweens. Display Type: Analog. Here you can find the best fashion jewelry of the best Italian. SKU: TW1239. INFINITY collection brings multi-wearing concept also in watches world. Collection: INFINITY. Gender: Female. Case: Stainless steel. We have reached our goal buyng directly from the firms without any go-betweens. Stainless steel. Strap material Strap Color Face Color Power Source Silver Color. CONNECT AND SHARE! Case Material. Breil - Infinity TW1239, Infinity. Possibility of transforming the watch to a bracelet or a necklace three rounds. one size fits all. 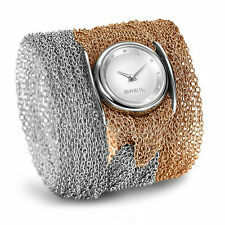 GENUINE BREIL Watch INFINITY Female - TW1349. SKU: TW1349. Collection: INFINITY. Gender: Female. Case: Stainless steel, IP Gold. Here you can find the best fashion jewelry of the best Italian. Warranty: 2 year warranty. SKU: TW1239. INFINITY collection brings multi-wearing concept also in watches world. Collection: INFINITY. Gender: Female. We have reached our goal buyng directly from the firms without any go-betweens. 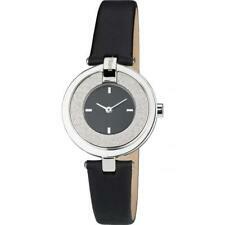 GENUINE BREIL Watch INFINITY Female - TW1351. SKU: TW1351. Collection: INFINITY. Gender: Female. Case: Stainless steel. Here you can find the best fashion jewelry of the best Italian. Warranty: 2 year warranty. SKU: TW1351. Collection: INFINITY. Gender: Female. Case: Stainless steel. Here you can find the best fashion jewelry of the best Italian. Warranty: 2 year warranty. We have reached our goal buyng directly from the firms without any go-betweens. SKU: TW1774. Collection: Contempo. Gender: Female. Color Dial: Silver. Case: Stainless steel. We have reached our goal buyng directly from the firms without any go-betweens. Here you can find the best fashion jewelry of the best Italian. Watch parts. For a watch, water is the worst enemy. To make sure you protect your watch properly check these factors before wearing it. First, see what kind of crown you have. If the watch has a screw-down crown, then it may be waterproof, but you should check your model’s specifications to be sure. BREIL TW1241 SLASH. Strap Material: Stainless Steel. The goods travel at the risk of the recipient. Replacing & Withdrawal. Just Cavalli. Weight: 299 grams. Dial color: Black. Band Color: Silver. SKU: EW0410. Collection: Tribe. Gender: Female. Color Dial: White. We have reached our goal buyng directly from the firms without any go-betweens. Case: Stainless steel. Display Type: Analog. Here you can find the best fashion jewelry of the best Italian. SKU: TW1774. Collection: Contempo. Gender: Female. Color Dial: Silver. We have reached our goal buyng directly from the firms without any go-betweens. Case: Stainless steel. Here you can find the best fashion jewelry of the best Italian.